We were at the legendary PALM Expo in Mumbai, that has been happening for over a decade now. It’s a massive gathering of everyone from the audio domain, right from the sound vendors to CEO’s of the biggest brands including gear demos, workshops, massive stalls, spread over 27,000 square metres! Here’s some of our favourite gear and stalls from this year’s edition. This Chennai based company probably found the highest number of broken jaws that were dropped at the stall, what do you expect when you have so much goodness in less than 100sqft. of space. With Pioneer DJ entering the Indian market officially, strides have been made towards awareness for DJs. Skip, Mash and Tuhin, the forerunners for the brand were found conducting very useful workshops, along with their entire range of products on display. Denon have made a huge comeback with some brand new state of the art gear, with features that are usually on mostly on wish-lists. Their new players can play two tracks off the same deck, while also providing key and file analysis on the player itself. The new mixer and all in one player look quite rugged too. If you’re looking to build a studio, home theatre, auditorium or just any other acoustically treated space, these are the go-to guys in the country. Their products speak of great expertise, finesse and value for money. They had their full range of absorbers, traps, diffusers and fusion products on display. Known for the aesthetically pleasing speakers that deliver amazing sound, their entire Air and Incubus systems were on display. These Installation speakers are one of the best in the industry. 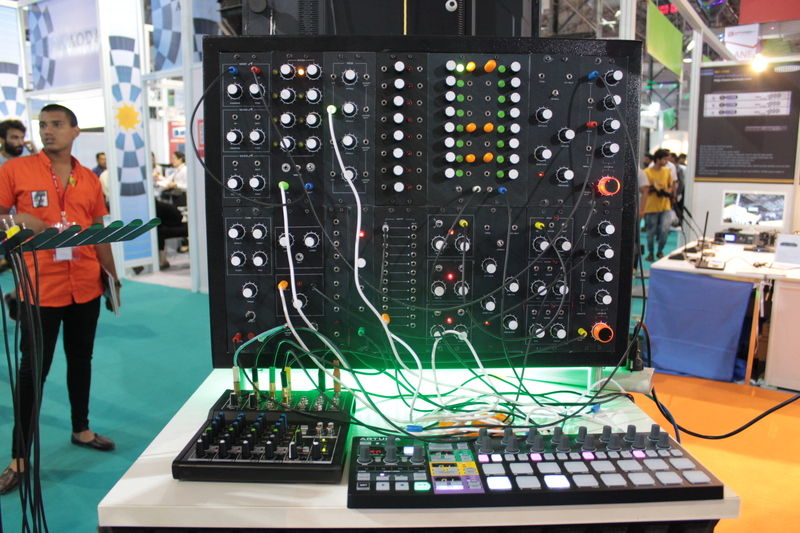 It was very interesting to see, and here their much anticipated Deepmind 12, which is essentially a Roland Juno clone. It did sound very good, although the price point seemed a bit off, almost twice the US price. Behringer’s DeepMind 12 in all it’s glory.